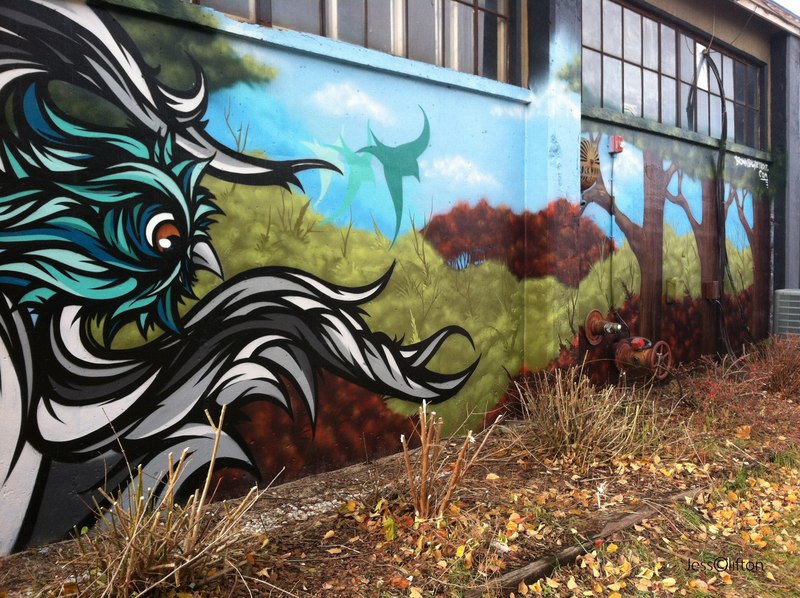 Graffiti painting on the wall of Inside Out Gallery (Traverse City, MI, November 2013). I love street art as well. It shouldn’t be criminalized to the degree it is. It’s like a gift to the public.